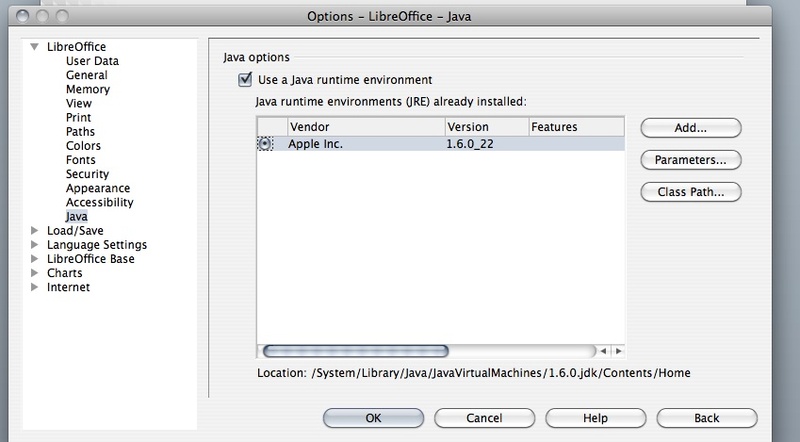 If you are using newer versions of Open Office or Libre Office on a macintosh computer you might experience the dreaded JRE error. This error causes all sorts of problems including causing the program to freeze and making it impossible to cancel out of some dialogue boxes. Fortunately, there is a fix. For those of you who need a quick and simple fix, I recommend using neo office 3.1, which does not experience these issues. For those of you who want to use the latest and greatest from openoffice.org or LibreOffice, there is a relatively simple fix. First, you will need to make sure your office program is closed. 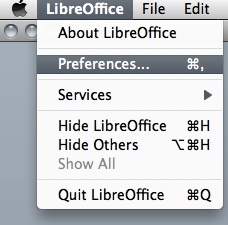 Next, go to finder and control+click your office program’s icon. On the menu that appears, select “Show Package Contents”. You’re almost there! Only three more steps! Now you need to move the files “libjvmfwk.dylib.3” and “sunjavaplugin.dylib” to the trash. Finally, download these replacement files: libjvmfwk.dylib.3 and sunjavaplugin.dylib and put them in the folder you just deleted the originals from. Select the radio button and click OK.
All done! Your program should now work correctly!